A young Indonesian Photographer Thomas Adhi Nugroho can easily prove this statement with his creativity and unique vision of the artist. He does plenty of amazing lifestyle and fashion photographs, but one of his astonishing pictures has deserved special attention. 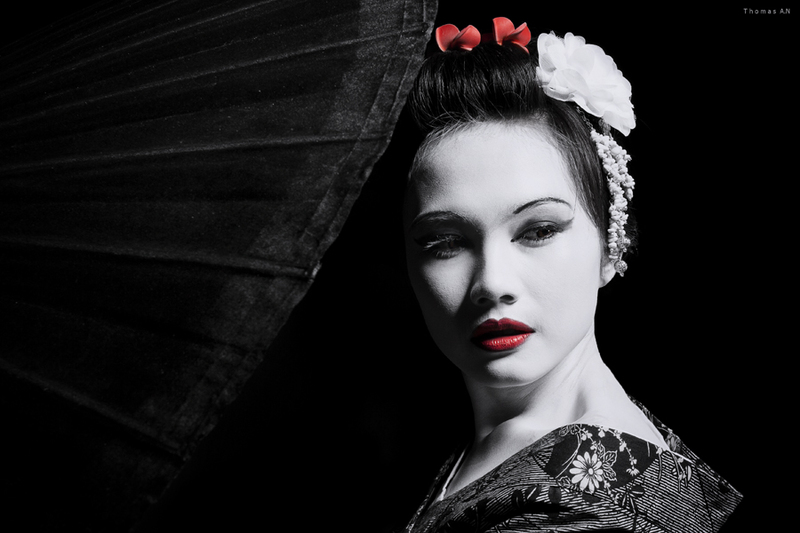 “Portrait of Geisha” is one of the best portraits of an Asian woman I have ever seen in my life. Everything is perfect here: the concept, the light, the exposition, the colors and the magic mystery of the Geisha’s look. The photographer is young and looking at his artwork you can easily feel his ambitions and goals. All i can say, that seems like he definitely knows how to stand out of the crowd and knows how to bring attention. Wishing him to reach all of his dreams and goals, using his creativity on its all unlimited power. Discover more about Thomas Adhi Nugroho Art and lifestyle following his updates on Instagram.